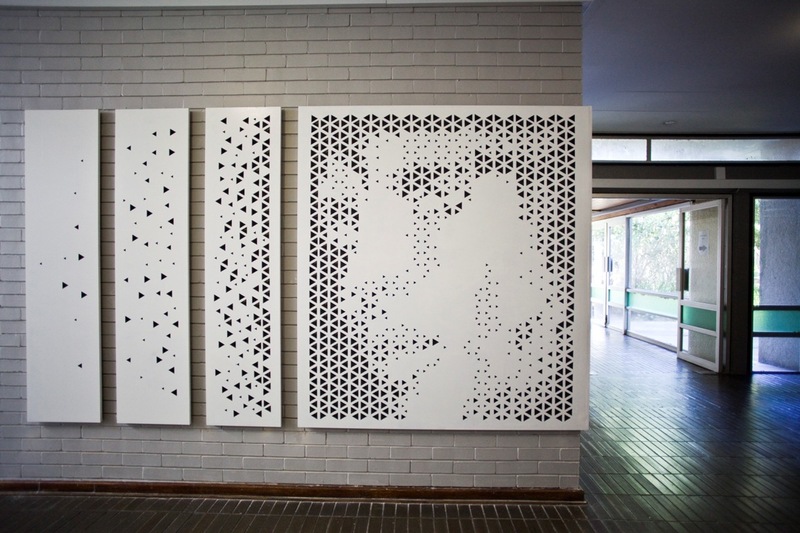 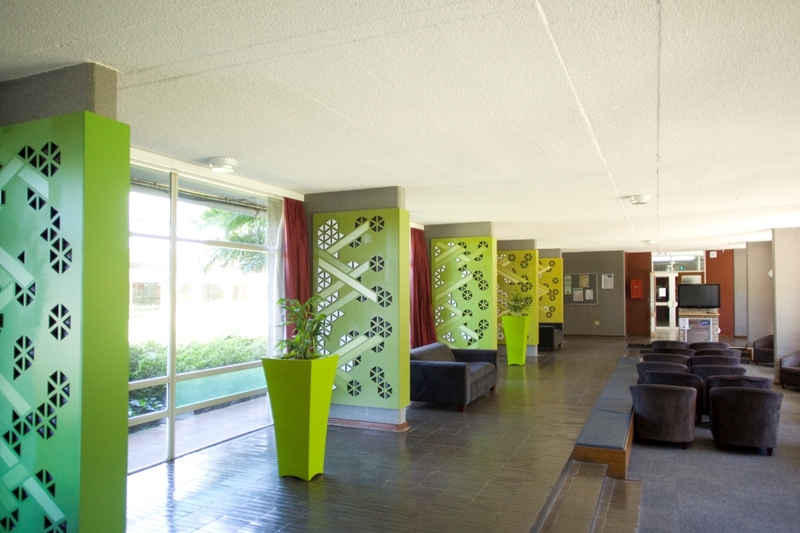 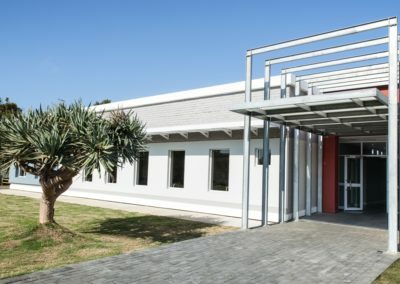 The refurbishment of the Nelson Mandela Metropolitan University residents’ circulation and lounge area was completed in 2011. 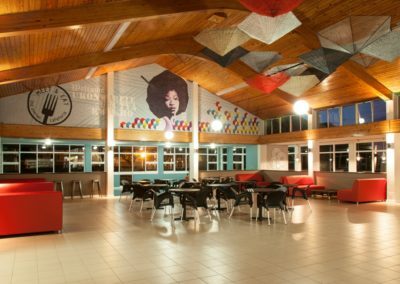 The project brief called for a strong focus on the university’s environmentally conscious philosophy while working on a very strict budget. 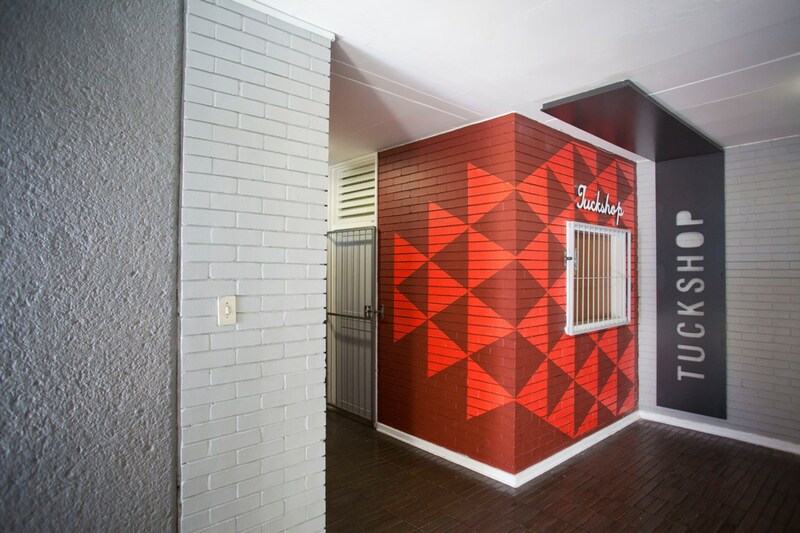 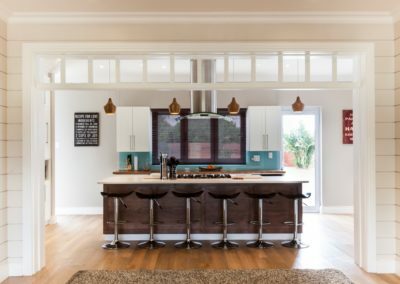 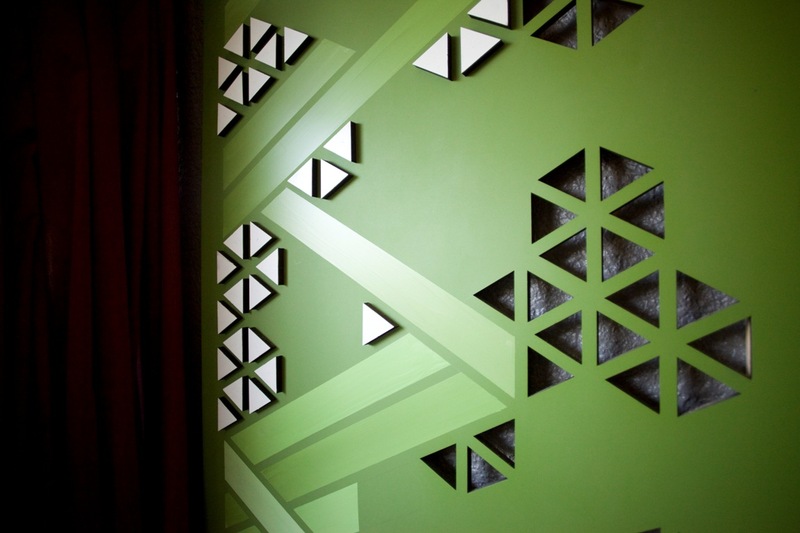 In order to achieve this, simple yet effective measures such as painting the walls, adding visually interesting panels and photographs and resurfacing existing pin boards were incorporated. 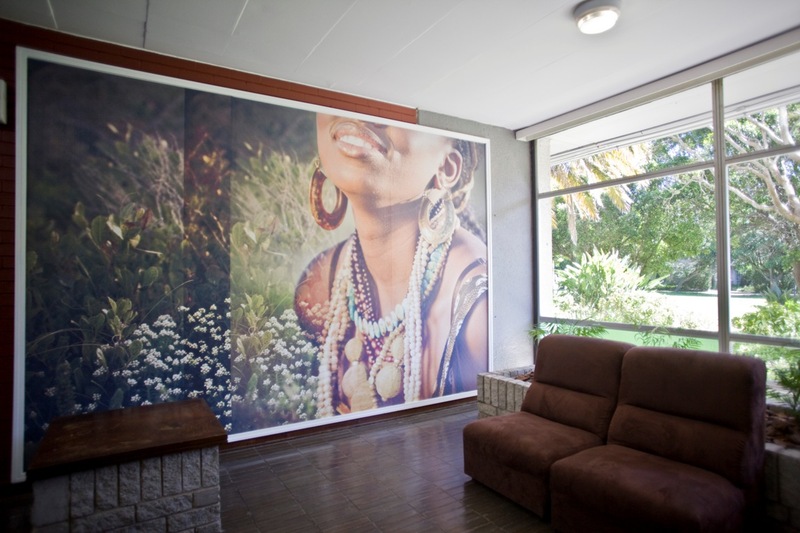 The graphics on the panels and oversized photograph in the foyer convey the environmentally sound principle while the graphics in the lounge visually bring the garden into the space. 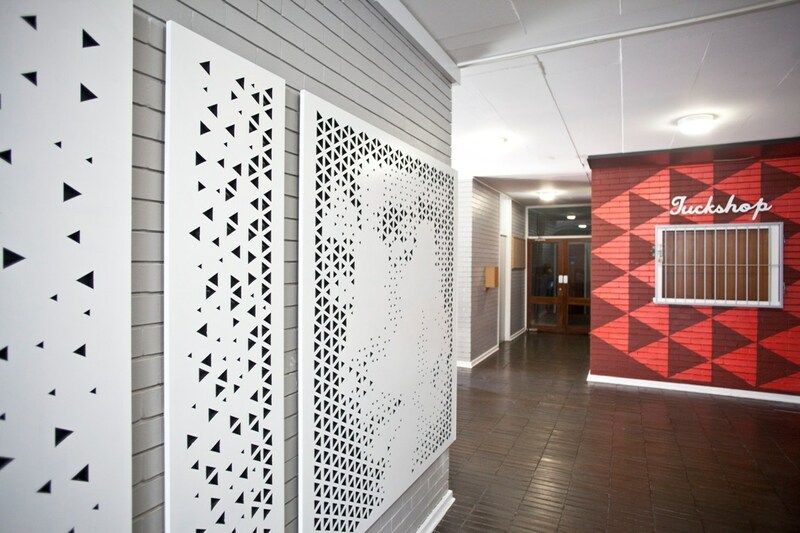 In order to reflect the young, exciting and positive atmosphere at the university as well as the mature attitude of its typical students, a neutral space with pops of colour and interesting graphics was created. 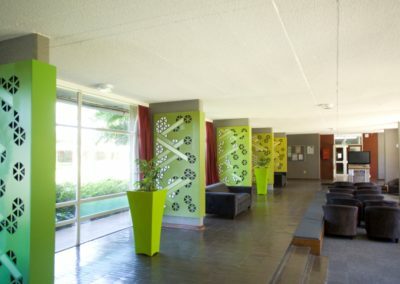 Today, the residents’ lounge and circulation area are hotspots for students.